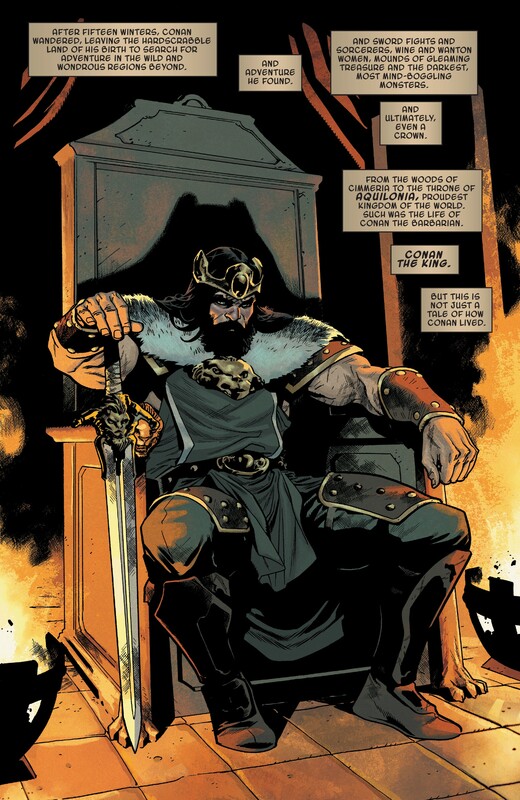 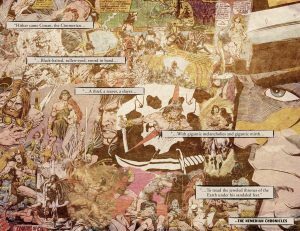 Marvel Comics Universe & Conan The Barbarian #1 Spoilers: The Life, Death & Rebirth Of King Conan At The House Of The Mouse Ideas With The Avengers On Deck?! 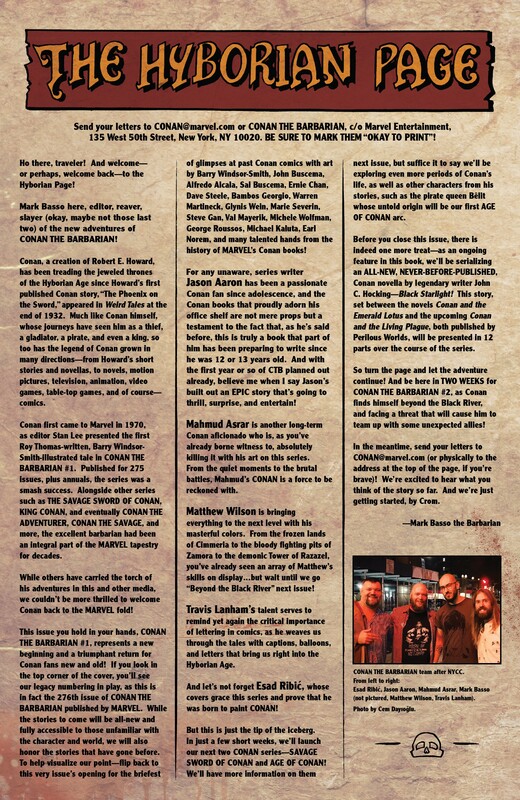 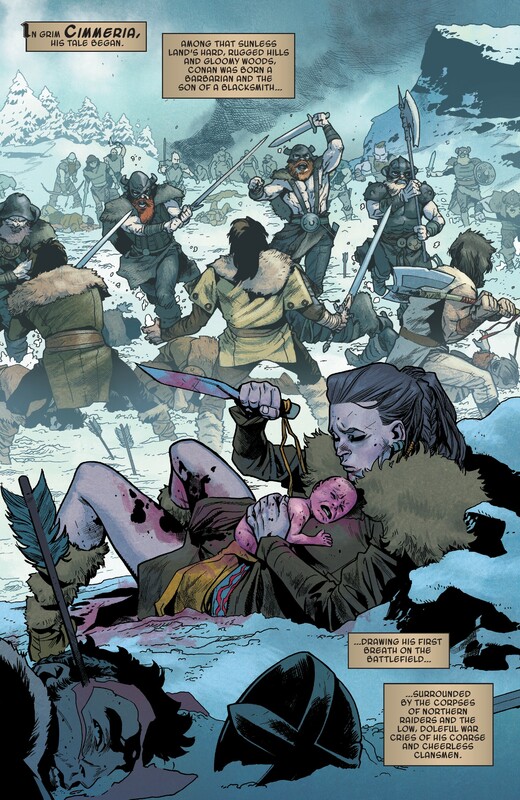 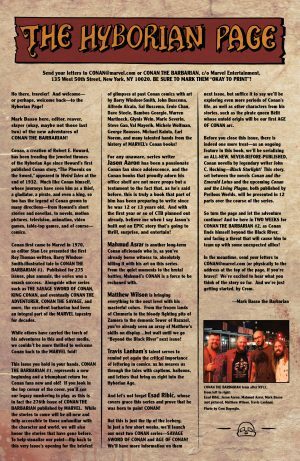 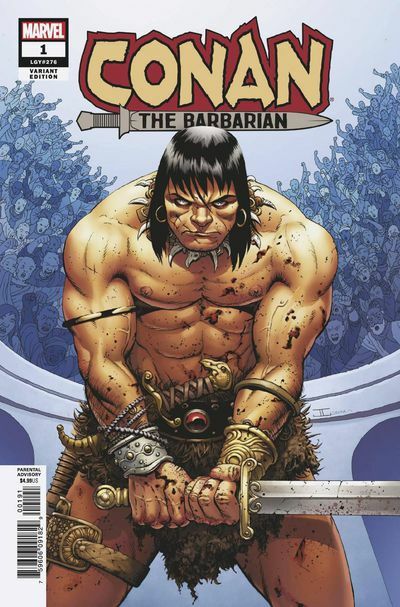 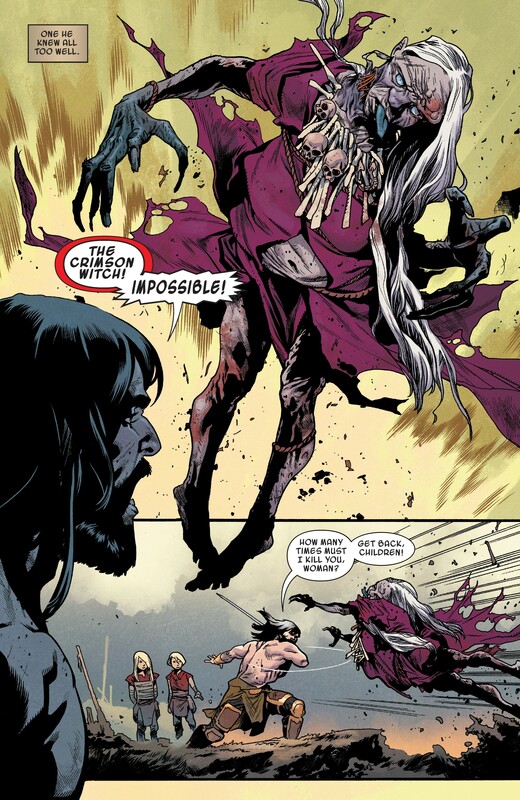 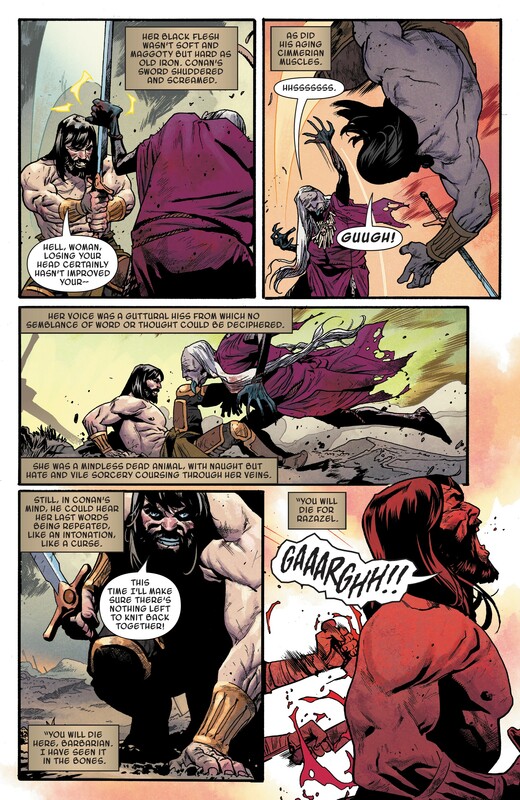 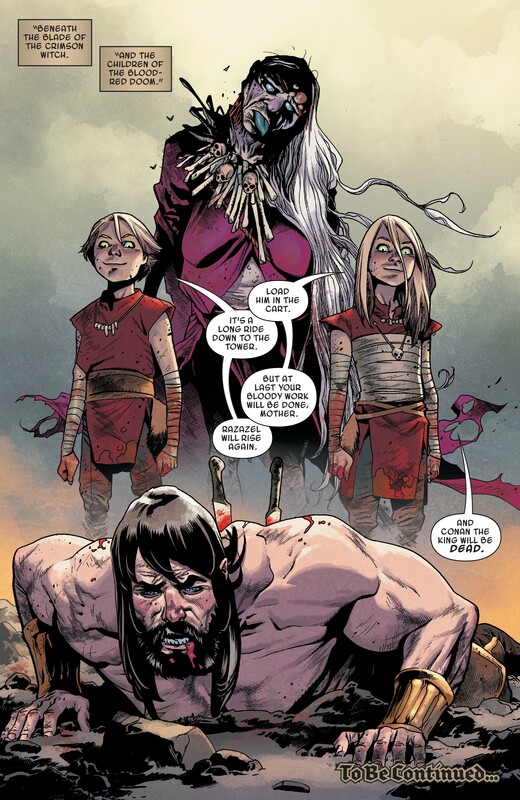 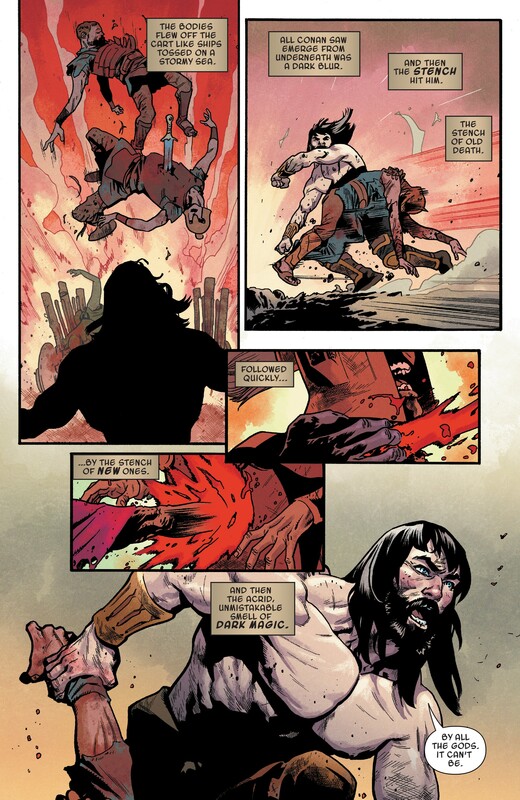 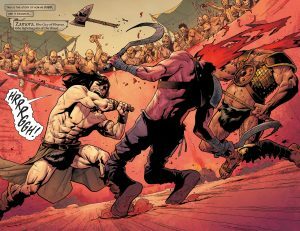 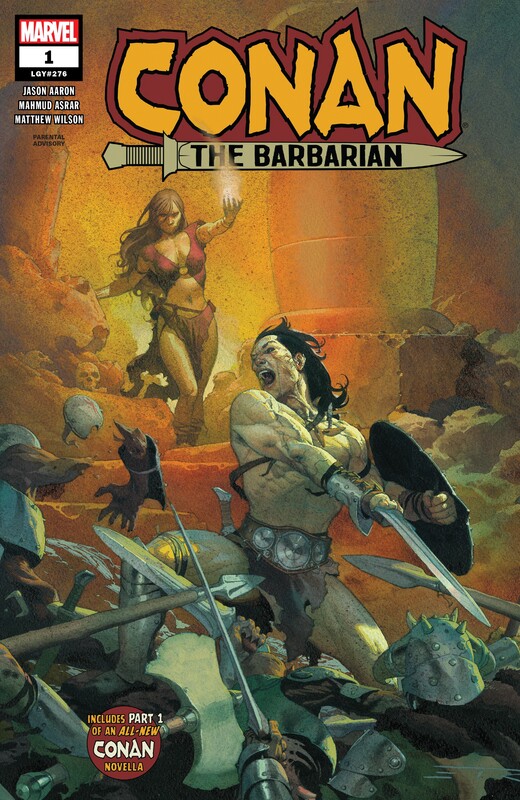 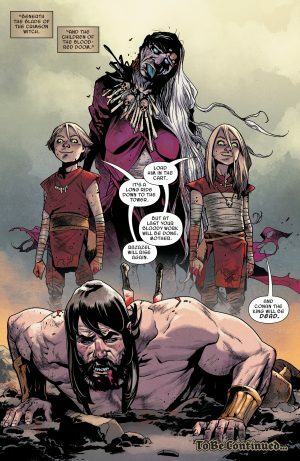 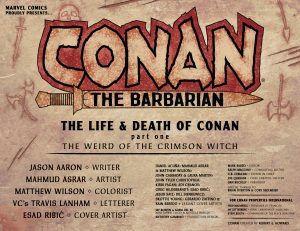 Marvel Comics Universe and Conan The Barbarian #1 Spoilers follows. The Life, Death and Rebirth Of King Conan at the House Of The Mouse Ideas With The Avengers On Deck?! 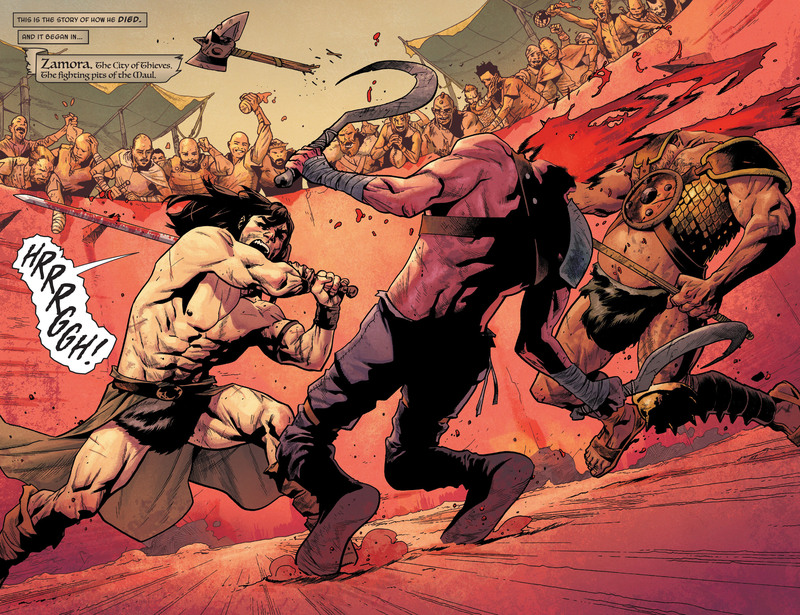 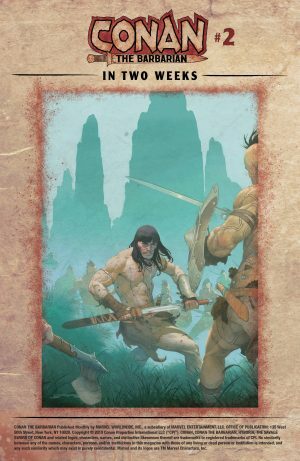 …Conan is skewered, but not dead yet! 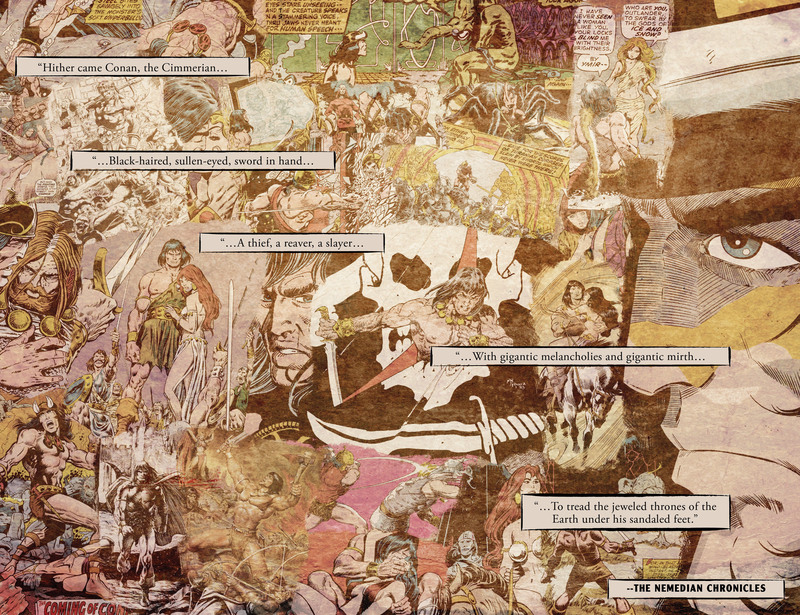 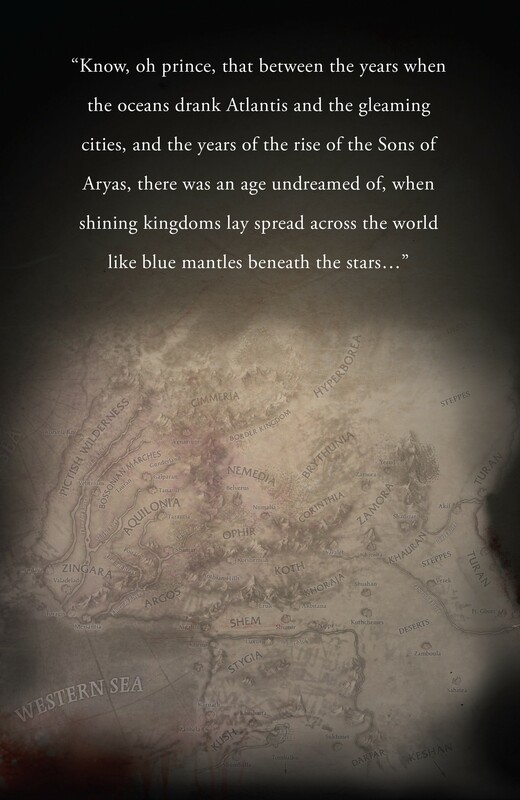 …and a look at the next issue in two weeks! 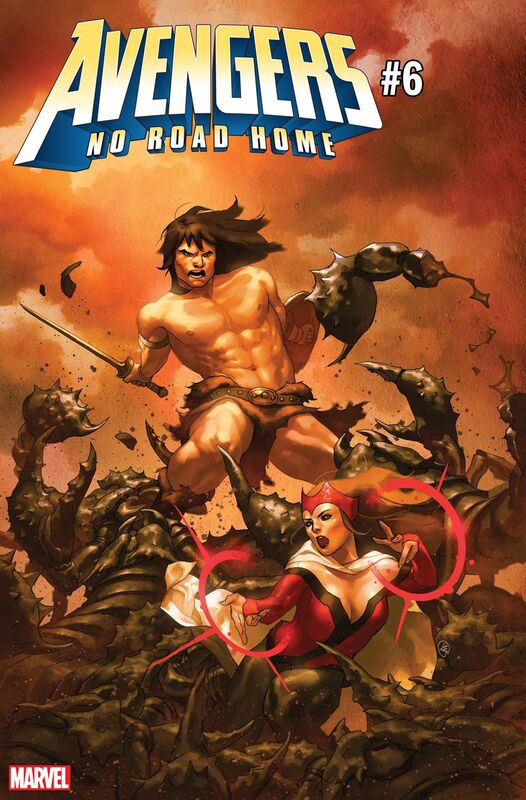 Also, don’t forget this not a parallel Earth, but the past of the Marvel Universe proper. Conan is actually set to appear in Avengers: No Road Home #6 (of 10) afterall! 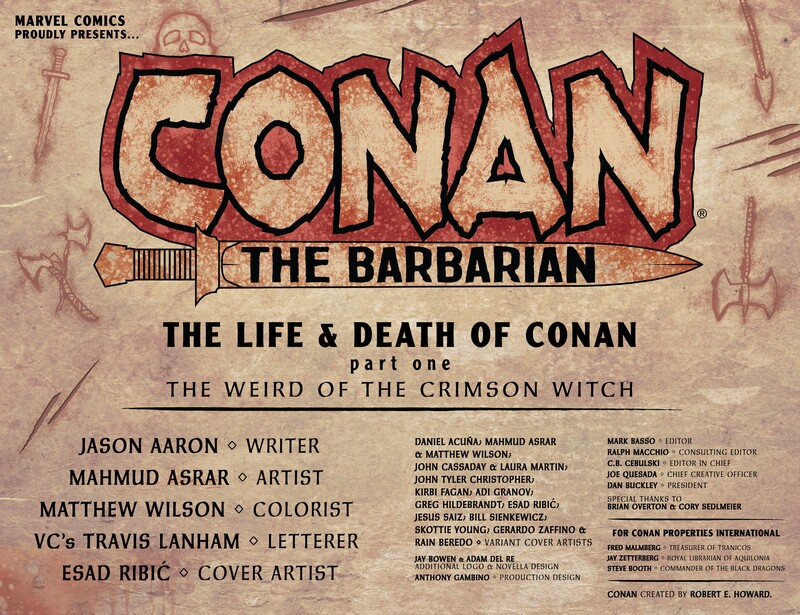 That issue hits stands on March 20, 2019.